When it comes time to outfitting your PC to handle the latest and greatest in PC gaming, choosing the right upgrades for all of your components is important to avoid ‘bottlenecking’. Having a key component that is weaker than the rest of the system can be a real let down. For gaming purposes, your graphics card will do a lot of the heavy lifting. Whether you’re cranking the settings to max or trying to display on multiple screens, you want the best graphics cards for gaming, that will work for whatever gaming goals you have. Pro gamers know that they need only the best graphics cards for gaming on their PC. You may have the top-notch CPU, memory, and storage in the market and still have a disappointing gaming experience if you don’t have an excellent graphics card. It’s the component that adds realism and visual euphoria to any game title. 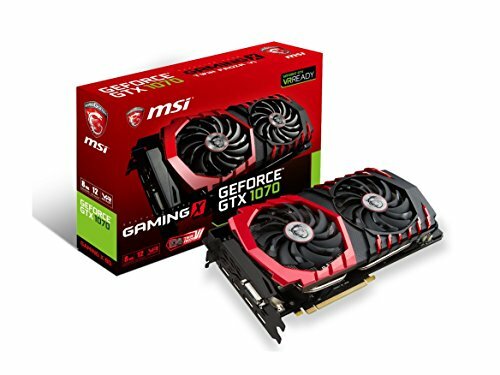 If you are still new to all the technical aspects of a gaming PC, you might found yourself in a ditch when searching for an appropriate graphics card. This is why we came up with this list of the ultimate, next level, best graphics cards for gaming. This selection of the best graphics cards for gaming are tailored to meet practically any need, from the absolute top of the line to the more budget-minded customers out there. The goal is to be able to provide you with a lot of choices for the system you have and the games you want to play. Just keep in mind that, as important as your graphics card is, you need to ensure you have the proper power to support it. Getting a PSU with a lot of wattage to spare – 800 watts or more – is a great start to your PC upgrade process. If you’re already there, great. Now you can dig in. 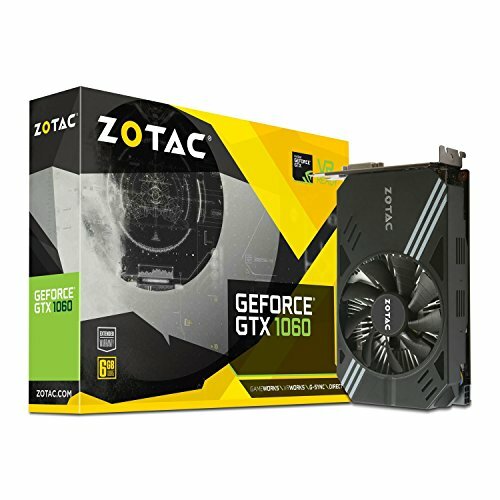 The ZOTAC GeForce GTX 1060 Mini has a minimalist design with a clean looking matte black and grey covering. 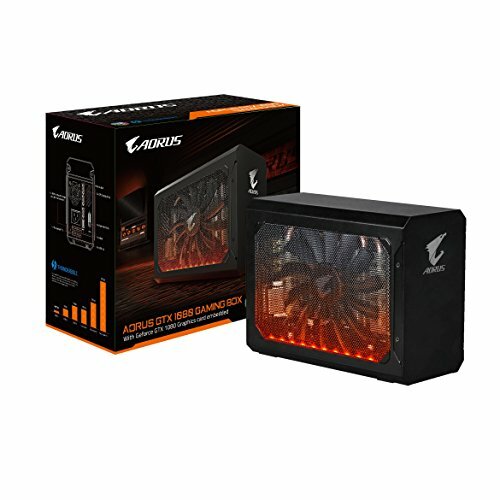 It has a 90 mm fan paired with an all aluminum heat sink and can be installed in almost every case that has a dual-slot GPU. The graphics card also has more than enough HDMI connectors and, for multiple monitors it even has three display ports and a DVI port. It performs well on many of the crowd-favorite games on max settings, especially on the 1080p/ultra/60fps sweet spot. The graphics card is also more than capable of giving you a satisfying visual reality experience. With a 6GB memory, this graphics card offers excellent performance without you spending a lot of dough. 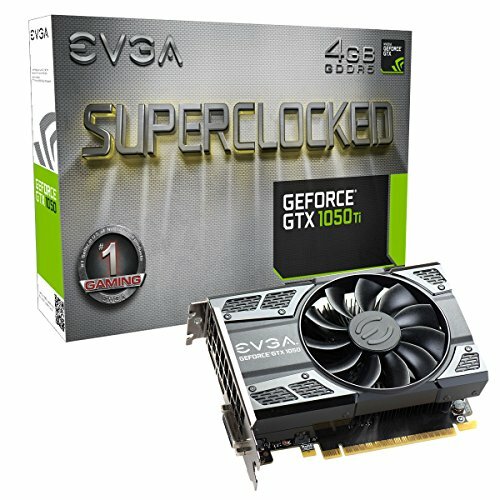 This is a good go-to-card for system builders that have a tight budget. The GTX 1050 is the most affordable current-generation graphics card under Nvidia’s wing and is meant to allow seamless ESports gaming for titles such as DotA 2 and CounterStrike: Global Offensive. It also has very low power consumption, which is great for laptop gaming experience. As such, it’s been used as an upgrade to older GPUs that has no external power connector. The unit also has a respectable 1,345 MHz core clock and 640 CUDA cores. Moreover, the graphics card can play AAA games albeit on medium settings. It works well with ultra-budget PCs and also for higher-end PCs (if you’re willing to cut back a little on your settings). The 1050 also has a compact design with only 145mm in length with tons of compact cards available. With a very capable Full-HD performance under its belt, the MSI GeForce has a superb bang-for-buck ratio. It fits into almost any system currently available, making it a great performance booster that everyone can afford. Under its sleek casing is a 768 CUDA cores that have 1,290 MHz base clock and has DVI, 2.0 HDMI, and Display Port 1.4. While it doesn’t support VR gameplay, PC gamers would love its crisp displays. It’s also very quiet and has stupendously low power consumption. This is the best graphics card for gamers who are using desktop PCs with no graphics card, because of its single-slot design that can fit even into low-cost builds. If your PC has a PCI-E slot and available space in the case, then you’re good to go. If there is one thing that defines the RX 580 graphics card for gaming, it is performance. It’s slightly faster than the popular RX 480 and provides an excellent 1080p gaming and even 1440 gaming at high settings. It’s also aesthetically attractive with its standout TwinFrozr VI cooler. Furthermore, the card also comes with a back-plate and an 8-pin power connector. When overclocked, you’ll get a 1450 MHz on the GPU. As such, the card can play games even at 2560×1440 resolution with ease. Overall, it’s a great performing product that allows you to be in the WQHD domain. Not to mention, its price level remains at a comfortable level even for casual gamers. 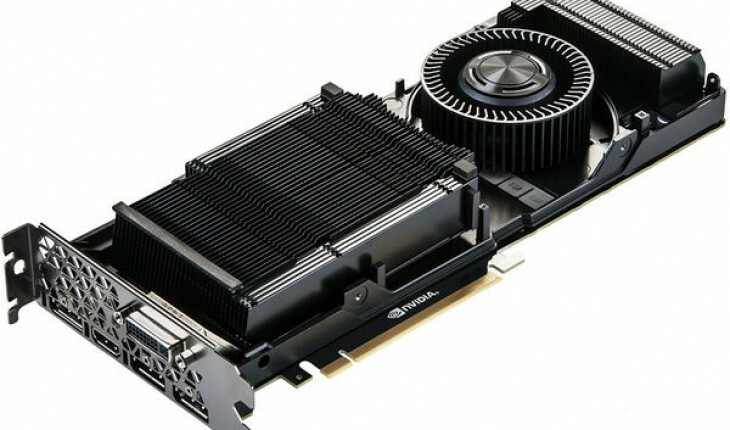 This Superclocked graphics card receives a relatively mild tweak at the tune of 88 MHz. Combining a top-notch GPU with a GDDR5 memory running at 8Gbs gives it more visual horsepower. Its color compression technology has also been improved to give it more memory bandwidth. The card also has already established an incredible base clock of 1594 MHz that uses less voltage. Moreover, the unit’s power consumption is just under the 200 watts. It also runs quietly while keeping the GPU at a comfortable 70 degree Celsius marker. Overall, the ACX 3.0 is an excellent choice for gamers who want to max out their graphics at the WQHD zone and 2560×1440 resolution as it has the power to handle such high demands. It is undisputedly one of the best graphics cards for gaming on the market today. 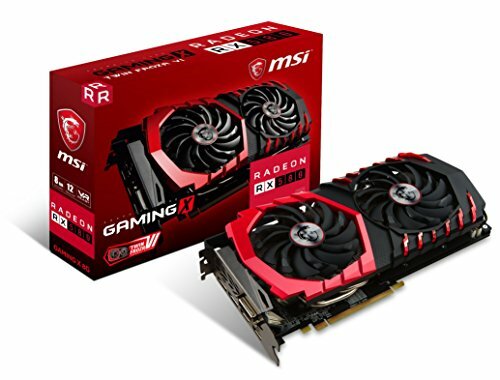 MSI just brought up the big guns by using an NVIDIA GeForce GTX 1080 Chipset. The card allows you to play at a max resolution of 7680×4320 which can support up to 4 display monitors. You’ll also notice a reduced render time going up against its large VRAM partition. If you’ve just read back over that max resolution again, yeah it wasn’t a misprint! Depending on the game title and resolution, this graphics card can give you a hefty 20 to 40-percent performance increase compared to its predecessors. 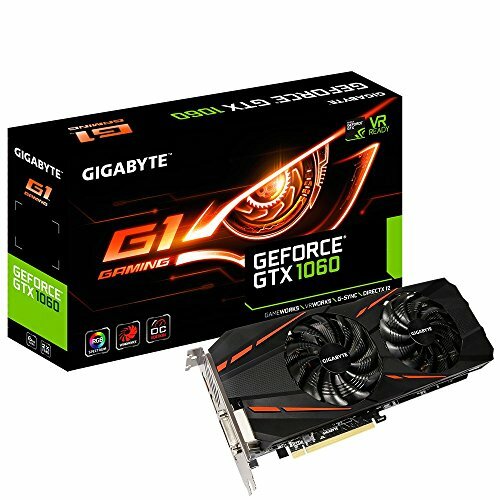 Overall, it’s a great bargain for people who want to up their gaming ante, and truly deserving of its place in the list of the best graphics cards for gaming. If you want to turn your Ultrabook laptop PC into a gaming juggernaut, then there is no better way than to use the Aorus graphics card. The portable external gaming box uses the world’s most compact card in its category- the GTX 1080 mini graphics. It can connect to the host machine at an outstanding 40 Gbps Thunderbolt 3, which allows seamless gaming. This thing is a beast, and the best graphics card for gaming in this list in terms of functionality. Being external means you can take that power with you on the move. 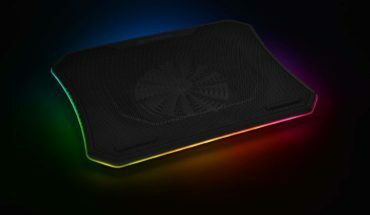 The aesthetic is also straightforward with the enclosure studded with multi-color LEDs which you can control using the Gigabyte RGB Fusion software. The device also has awesome connectivity through its four USB 3.0 ports with 5 Gbps rating. Under the hood, the device can whoop up to a boosted 1771 MHz when installed with a software-enabled Overclock Mode. Charging the device is also easier thanks to its 3.0 USB port which allows up to 4 times faster than conventional chargers. The more affordable version of the GTX 1080 is no pushover. It’s very similar to its “big brother” albeit with a smaller GPU and memory. Performance-wise, it could still deliver a pretty badass gaming experience at 2560×1440 resolution and even to some titles that are in Ultra HD realm. The graphics card’s components allow agile gaming with low power consumption thanks to high clock-speeds and an 8 Gbps GDDR5 memory. You’ll notice that some games get a nice boost in the 1.9 GHz range. The unit also remains silent even in the heat of the battle. 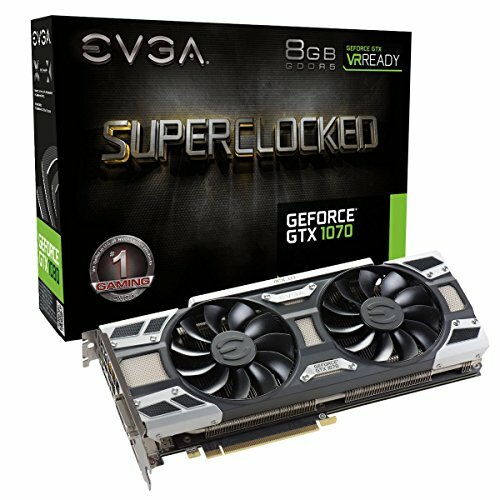 Overall, the GTX 1070 is a great alternative if you can’t afford to upgrade to 1080 yet. Its balanced performance and value for money make this an easy choice for our list of the best graphics cards for gaming. 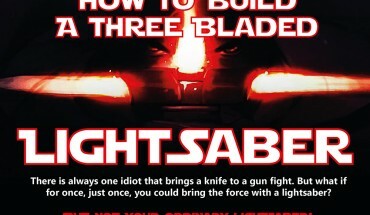 You will surely not regret the choice to buy one. You see its 14nm architecture (1,280 cores, 48 ROPS- 1280:80:48, and 80 texture) allows more emphasis on pixel fill rate. Thus, it amps the maximum boost clock at 18477 MHz in OC mode and giving you a responsive gaming experience even at 4K resolution. 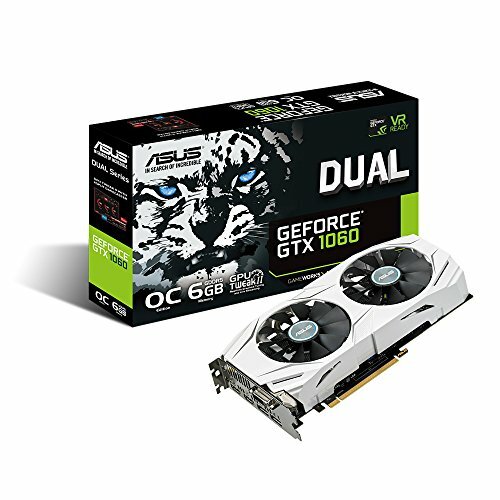 Overall, the graphics card can match (if not better) its competitors in the midrange market such as the GTX 980. A must buy for any gaming aficionado. The GTX 1060 is a mid-range graphics card that is quite competitive in its current mainstream market. Gamers can easily play at 1080p, which is what most MMORPGs and ESports titles are played. The card also tops in its efficiency and performance with only a 120 watts power draw. It remains as one of the more economical choices among its competitors. ASUS is also known to make durable products, leaving you with some peace of mind. However, because it has no support for SLI, scaling its performance remains a crucial issue. For this list, we tested almost every major Graphics Processing Unit (GPU) on the market, from the budget-friendly ones to the luxury models. Ultimately, the thing that we always crave in a GPU is raw performance. 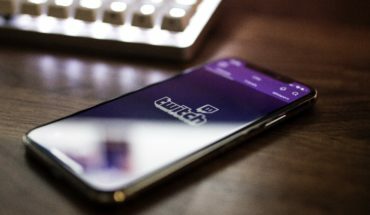 But we also have to factor in the driver experience, noise and supplemental software in determining which graphics card will get your money’s worth. Here are some of the main pointers when choosing a graphics card. The best indicator for a graphics card’s trait is its model number, which tells you about the graphics processor, memory bandwidth, and clock rates. Always prioritize bandwidth over memory size, unless you have wickedly high resolutions (4K display and above). As such, you’re better off with a 1GB GDDR5 than a 4 GB of DDR3. Make sure the graphics card is compatible with your PC regarding the case’s physical space and power supply. Know the limits of your platform. Older dual cores like the Celeron and Pentium, for example, can’t handle the latest high-end graphics devices. Always have the right cooling system (aftermarket and reference). High-performing graphics cards tends to use a lot of power and release a lot of heat. Keep these tips in mind the next time your in the market for one of the best graphics cards for gaming. The devil is in the detail as they say, and these tips can make sure your not disappointed. As you can see, there’s a solution for practically anyone with any budget or any desire when it comes to pushing the limits of their machine. We evaluated these graphics cards based off of the standard expectations of a modern PC gamer, considering games like Fallout 4, DotA 2 and CounterStrike: Global Offensive and others. We know that every graphics card won’t necessarily meet every need, so a safe bet is to choose a graphics card that is slightly above what you’re after, so that you have a little extra room to work with for other uses. The last piece of advice that you may need is to differentiate between the various manufacturers of similar cards. 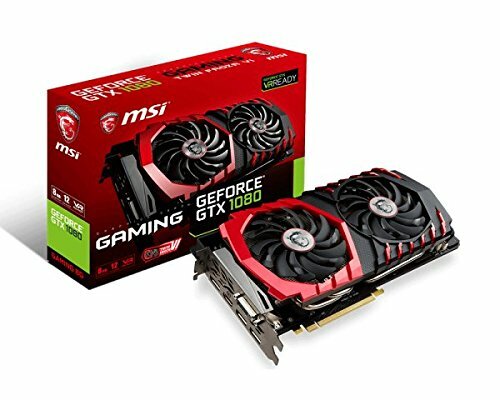 While the recommendations and specifications listed directly speak to a specific manufacturer’s card – such as EVGA, MSI, or Gigabyte – we recognize you may find similar cards when shopping. 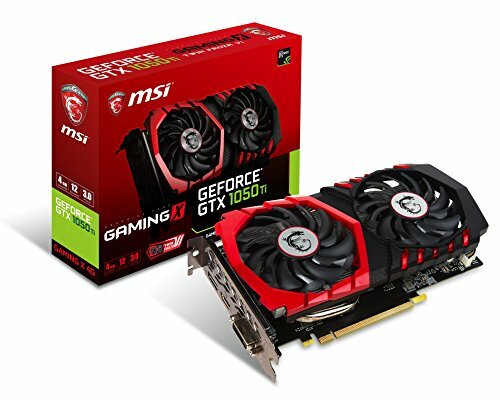 The options provided here are generally mentioned as the top-tier best graphics cards for gaming in their specific categories, but prices can vary and a careful look at the spec sheet will tell you what you’re after. Just be sure to check product reviews for any specific manufacturer issues and keep an eye out for special promotions. But other than that, our selection of the best graphics cards for gaming will meet and exceed your needs, without question.